By this useful Article I guide you that how to remove Dandruff from Hair with Home based tips and also great beauty tips by this tutorial like other tutorials. When we use comb in the hair and often shows small pieces of dead skin in a person’s hair. It happens due to faster increase cells in scalp and turned to dead cells. It swells mostly in winter due to less utilization of water. It also increases when a person is unhappy. Mostly the cause behind dandruff is cold winter that can create it to worse condition. Often lot of persons will not have any idea about the microscopic creature. Because yeast microscopic creatures, reasons dandruff. The mushrooms are responsible for swelling, tingle the scalp. Now I guide you step by step how to get rid of Dandruff from hairs, read this useful article on the following 20 useful tips and tricks. Aloe Vera gel is useful and apply it in the scalp, it can decrease hair dandruff. It provides the necessary proteins to hair as well as motivates its growth. The mask of Coconut Oil on the hair may shrink the dandruff. It makes hair black, polished and also increases hair growth. Orange Peel are very useful boil it water and it gives us liquid extract which supports in reducing dandruff. Baby Oil is very important to use it can be reduce dandruff from your hairs. Egg Yolk is very important and it fill with proteins, it should be applied in scalp it is very helpful to reduce rate of dead skin cell in your hair. Purchase dandruff Shampoo and use it every day. Avoid anti-dandruff shampoo. keep away from stress conditions it may also bring dandruff in the scalp. Brushing of hair can diminish the rate of dandruff because brushing consistently distributes the oil nearby in skin scalp. Constantly prefer Shampoo that suit the pH of your scalp. The collection of Shampoo has a huge result on dandruff and results in also enhance or decease of hair growth. Use lemon and get two spoons of lemon juice in the scalp to reduce dandruff. 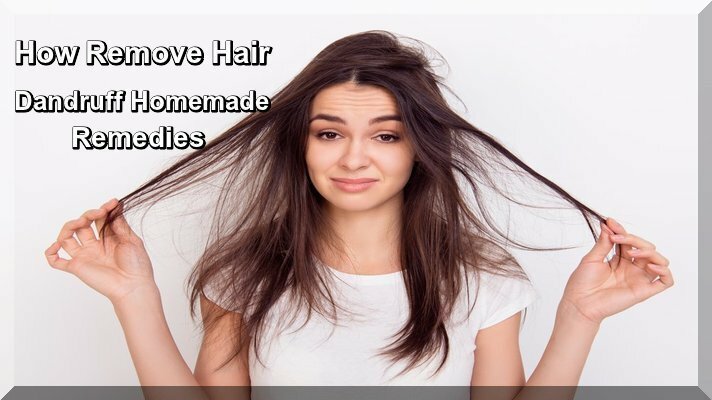 Boil Neem in water for some time, the solution formed is very effectual in restrain the growth of mushroom and results in dandruff free hair. Methi seeds are very useful, first rough grinding and soaked in water all night. The way out can be applied to the hair to get rid of dandruff. Soda can also be effective way in place of Shampoo. It gives good result if you use it on wet hair. One thing note that, do not rub it in scalp. Vinegar is very useful for the removal of dandruff. To use of aspirin with our daily used Shampoo, it will inspire the increase of mushroom provides relief from dandruff. The peel of Banana is very useful and it has nutrients, it should be apply in scalp it supports to reduce of dandruff. Collectively Curd and one tablespoon of lemon after mixing it carefully apply it in the scalp we can get preferred results. Baking Soda and Lemon apply it collectively it also work better for your hairs to remove dandruff. Green tea is better it has many ingredients, which can be effective in keeping the body active healthy and dandruff free hair. Mix one part of mouthwash with nine parts of water and apply the mixture to the scalp it will support in reducing dandruff. I hope you like this article like other tutorials and enjoy.